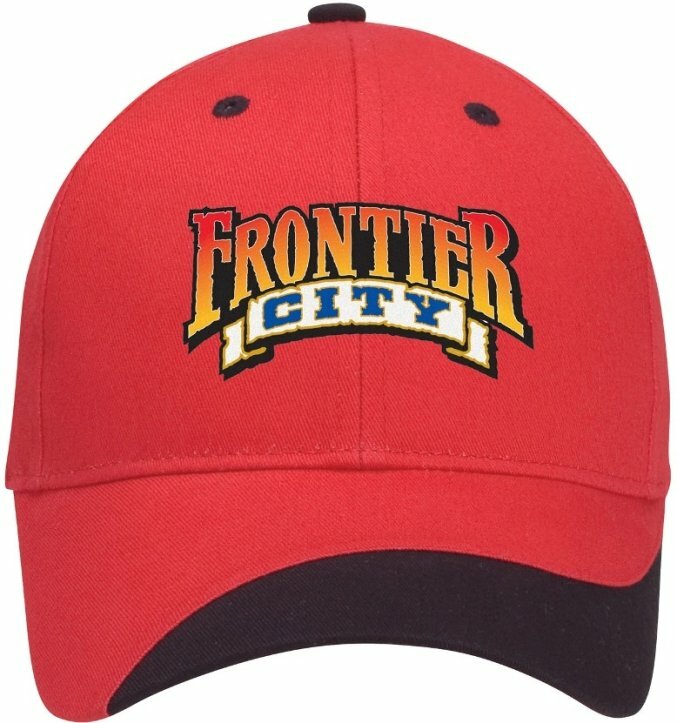 Draw extra attention to your logo with the unique Accent Wave Promotional Cap. 6 panel structured crown, pre curved wave visor, matching button, eyelets. Backside adjustable fabric strap with Velcro closure fits most applications. Rush Production is no extra charge with a one color imprint. Normal delivery from date of an order is 3 weeks. Price includes a one color imprint on the front in an area 4 1/2" w x 2" h.
add a screen of $55 and running charge of $.45 each. Logos require Illustrator or In Design ai, eps, pdf. Includes almost any number of imprint colors on front area 4 1/2" w x 2" h.
No Factory Setup Charge. Add $1.20 each cap for 4CP imprint. Logos do require Illustrator or Photo Shop ai, eps or pdf art file.